In this note, we review real-world surveillance video of a California sheriff en route to a reported stolen vehicle, prior to his fatal impact with two pedestrians as they crossed the street. Allegedly, the officer was traveling at a very high speed, without using his emergency flashers, which has become the basis for a wrongful death lawsuit. A second camera, aimed more to the left in the above video, appears cloudy and blurry, likely due to lack of maintenance, limiting its usefulness. 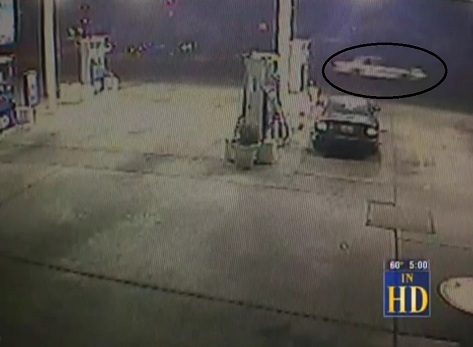 In conjunction with the second camera, the sheriff's car is identifiable. Identification of a person or even an unknown vehicle on this camera would otherwise be nearly impossible. Maintenance aside, increased resolution, such as HD cameras could provide, would help to provide clearer answers to the unknowns mentioned above. This is a prime case of the benefits the public may receive from private surveillance systems. There is often talk of public/private partnerships in the industry, where government agencies share video from private entities. 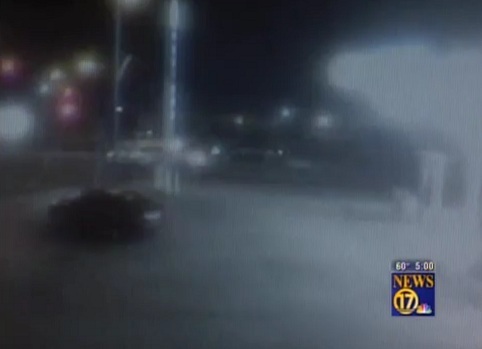 In this case, members of the public are able to use video obtained from the gas station to build their case against the sheriff in question for alleged wrongdoing. Another lesson that this brings to mind is that end users, such as this gas station, should be prepared to answer requests for video from the public. This is best accomplished through a clear policy which determines when video is or is not shared with the public. A common practice is to require a subpoena in order for video to be released, but some users are more or less strict. One final interesting point is the comments by broadcasters about the lack of audio with the supplised video. Obviously, audio would remove the question of whether or not the officer had his sirens on. However, installation of audio in surveillance systems is quite uncommon, especially in outdoor locations, where these cameras where installed. This is due to laws regulating audio surveillance, which vary by state, but typically require the consent of recorded parties before proceeding.